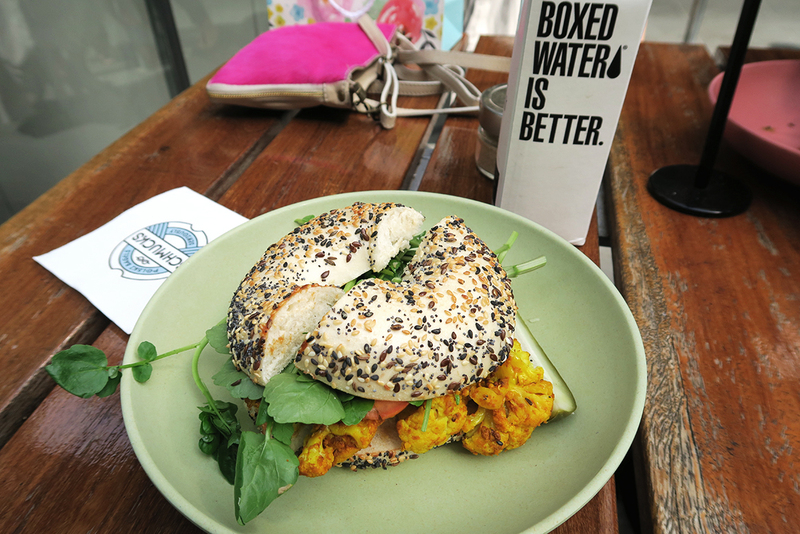 Schmucks Bagels is located at the Collins Street end of The Docklands in Melbourne and serves up, yep you guessed it, bagels! I recently dined there with my cousin on a bit of a belated birthday lunch date. She had the bagel pictured above named the Schmoozer with hickory-smoked beef brisket, Kansas city BBQ sauce and chimichurri. 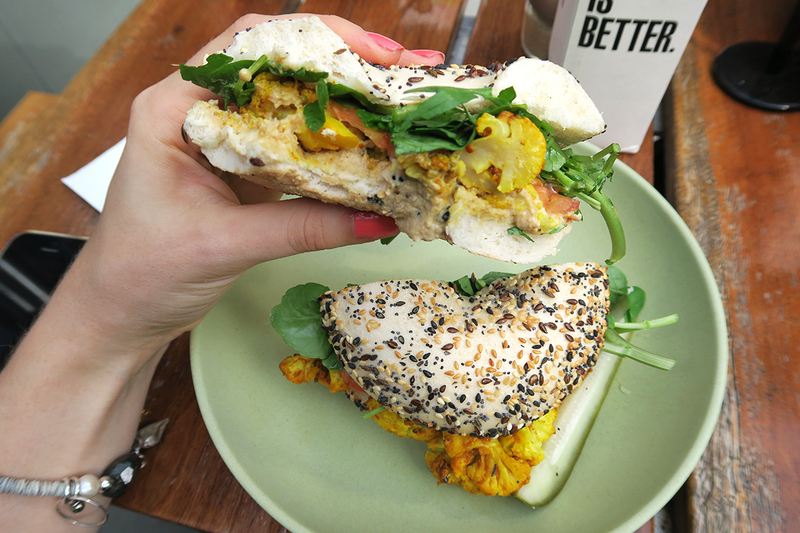 I of course went for the vegan option named Hippie-Slicker with tumeric roasted cauliflower, hummus, watercress and tomato. It was incredible. 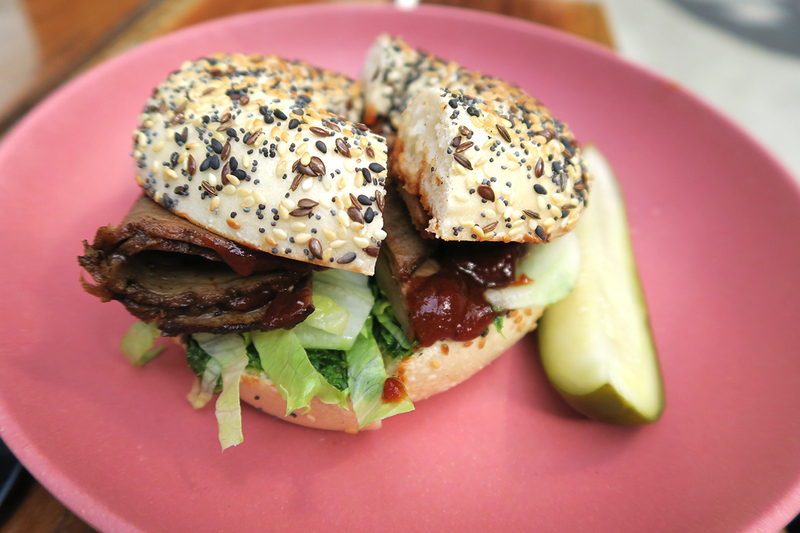 The bagel was one of the softest I've ever had and the fillings worked together so well. It definitely pays off to have the vegan option sometimes as my cousin was a tad underwhelmed with her choice. 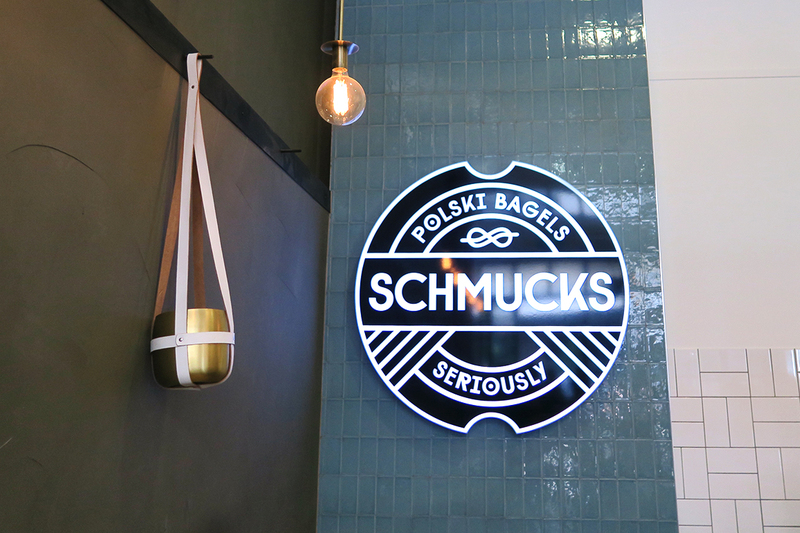 There's also a Schmucks Bagels in the Melbourne CBD off William Street. 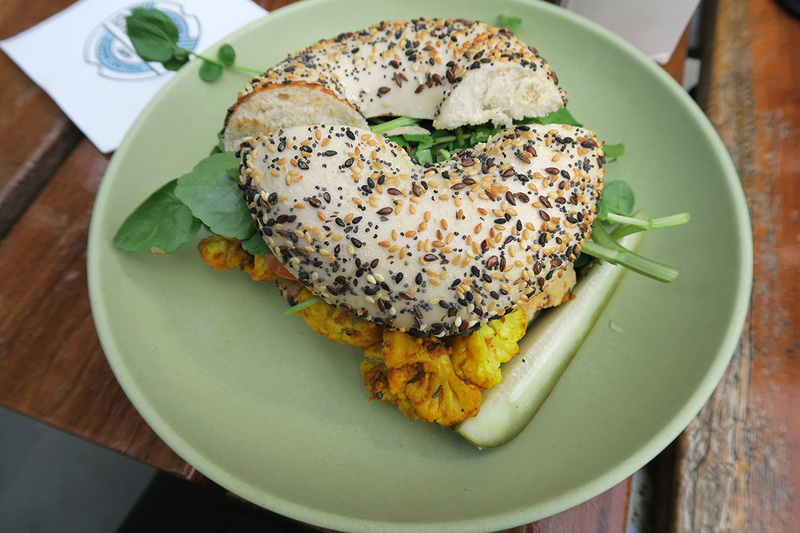 I'll defnitely be heading back for the cauliflower bagel.